When qualifying an import, bear in mind that, as with most issues in customs and trade matters, determining the eligibility of an entry for a given FTA is an intensely facts and circumstances-driven project. If you change even one fact or one circumstance in the whole panoply that make up the background of the import transaction, you are very likely to get a different result. The importer is cautioned to pay close attention to all of the details. Those details include both the facts underlying the importation—how, from what materials and where the article was produced, the circumstances of the purchase transaction (including sales terms and payment details), and how it was transported to the United States—and the legal standards for eligibility for that FTA. Each FTA has separate rules of origin. Lessons learned from an importation under one FTA, say NAFTA, probably will not apply to an importation under another FTA and may not apply to the importation of another article even under the original FTA if there is a change in the facts. But there are some similarities among the rules of origin of the FTAs at the 30,000-foot level. Make sure you know when and how to complete a NAFTA Certificate of Origin. As a general rule, goods qualify for an FTA in two ways. First, and easiest to qualify, are those goods that are “wholly obtained or produced entirely in the territory of the FTA partner country or of the United States.” You may notice that this ability to use United States materials is one of the key differences between the FTAs and the Generalized System of Preferences (GSP), which treats U.S. parts or materials as non-originating. But the topic of FTAs is one in which it is better to get right down to the details early since it is only in the details that we can observe the FTA in operation. As an example, we might look at the United States-Singapore Free Trade Agreement (SFTA) origin rules. These are set forth at General Note 25 (GN 25) to the Harmonized Tariff Schedule (HTS). Origin under GN 25 (b) looks to wholly obtained or produced goods from either Singapore or the United States. Thus an article made with exclusively Singapore or U.S.-origin parts in Singapore will qualify under this first test. But be careful; GN 25 (c) defines “wholly obtained or produced” very narrowly. A wooden dowel used in making furniture, for example, must be shown to have come from wood grown in the United States or Singapore (GN 25 (c) (i) (K)). This takes us to the second general category of FTA-eligible goods. In this category, if the imported article contains or was made with non-originating materials, then the article may be ineligible. The importer will need to show that the tariff status of those third-country materials has changed before the finished article is treated as eligible. Ordinarily this process is one of substantial transformation of the articles on a status before/status after comparison. In order for an article to have been substantially transformed for tariff purposes, you must be able to show that there is a new article. The traditional criterion was a change in name, character and use. But this traditional process could lead to subjective decisions or to disputes whether the trade regards the old and new forms as separate articles. The trade diplomats who have negotiated NAFTA and the FTAs sought to find a more objective and predictable route. The solution was to set out rules defined by either a change in tariff classification of the non-originating materials, sometimes called the tariff shift rule, or by a minimum local value requirement or a combination of both. have been transformed in the territory of Singapore, or of the United States, or both, so that each non-originating material…undergoes an applicable change in tariff classification set out in subdivision (o) of this note so that as a result of production occurring entirely in the territory of Singapore or of the United States, or both. This reference to GN 25 (o) is a reference to the actual change in tariff classification rules. 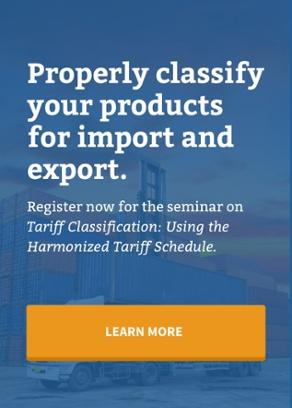 The first thing to remember when you are seeking to apply the tariff shift rules is that you need to be on the top of your game, and the name of the game is tariff classification. The next point is to recognize that in tariff shifts, one size does not fit all. The tariff shift rules will vary in the changes required from one HTS chapter to another through one four-digit HTS heading to another up to one subheading at the six-digit level to another. These patterns reflect the notion that some transformations were the subject of greater scrutiny than others, perhaps as a result of greater U.S. industry participation in the trade negotiation process. In the first step in the process, the importer must turn to the Bill of Materials (BOM) and first identify the origin of all of the materials that went into the finished article. If they are all originating, the goods will qualify. If the finished article contains both originating and non-originating materials, however, the importer must continue with the review. Those that are originating, i.e., from the FTA partner country or the United States, are set aside because they pose no problem. But the importer must classify those materials identified as non-originating. To do that it is necessary to approach the analysis in the same manner many high school chemistry students approached chemistry lab—by working backwards. You must start with the correct tariff classification of the finished article to get the applicable rule. If you get the tariff classification of the finished article wrong, you may apply the wrong tariff shift rule. Once the importer ascertains the correct tariff classification of the finished article and isolates the applicable tariff shift rule, the importer must assign a tariff classification to the non-originating material. Recognize the task for what it is—learning the tariff classification of each non-originating material as it was imported into the FTA country. Sometimes the importer, especially if it is related to the foreign producer or if it supplied the materials to a contract manufacturer, will already know that tariff classification because it was involved in the importation of the materials into the FTA country. 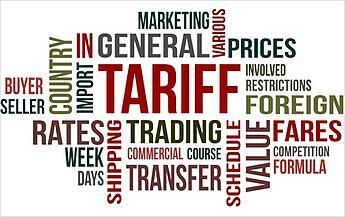 On the other hand, finding the tariff classification may pose a challenge to the importer. Once the importer has classified the non-originating materials for tariff purposes, it is a matter of determining if the tariff-shift rule has been satisfied. Let’s take a hypothetical example. Assume that an importer is claiming SFTA benefits for an entry of parts of telecommunications test equipment. The parts are made with insulators and other electrical components from Singapore, conductors from the United States, and plastic cases from China. The importer will determine from the BOM that the imported article contains both originating and non-originating materials. The importer will disregard the originating Singapore and United States materials and focus on the tariff shift rule as it applied to the plastic case. Now that we have the rule, we turn to the plastic housing imported from China for use in making the part. It is possible that the plastic housing is classifiable as 9030.90 at the time of its importation because in its condition as imported into China it was dedicated for use (made to exacting specifications, pre-drilled holes, etc.) with the part. Thus, there would be no tariff shift. The plastic case is classifiable in the same subheading (9030.90) as the part. In this scenario, the imported article would not qualify for SFTA benefits. But let’s change the facts just slightly. Let’s assume that the plastic case is not ready to use when imported from China. Let’s assume that it requires extensive re-working or that it is imported into Singapore as extruded plastic sheets. The same analysis would yield a different result because the tariff classification of the plastic material shifted from chapter 39 (perhaps subheadings 3920.10 or 3926.90) and either of these subheading would differ from subheading 9030.90. The imported article would qualify for SFTA benefits. If you remember that tariff shift is supposed to connote the degree of transformation in Singapore, you will see that the policy goal underlying the SFTA is met by having different results from the different fact patterns. To show a differing tariff shift rule, consider the case of pasta imported into the United States from Singapore. Wheat flour, classified under heading 1101, was exported from Canada to make the pasta in Singapore. The pasta would be classifiable under heading 1902, HTS, when entered into the United States. This heading carries the tariff shift rule: “A change to headings 1902 through 1905 from any other chapter.” Because heading 1101 is in a different chapter (chapter 11) than heading 1902 (chapter 19), the pasta would qualify for the SFTA benefits. This post was originally published in March 2007 and has been updated to include current information, links and formatting.